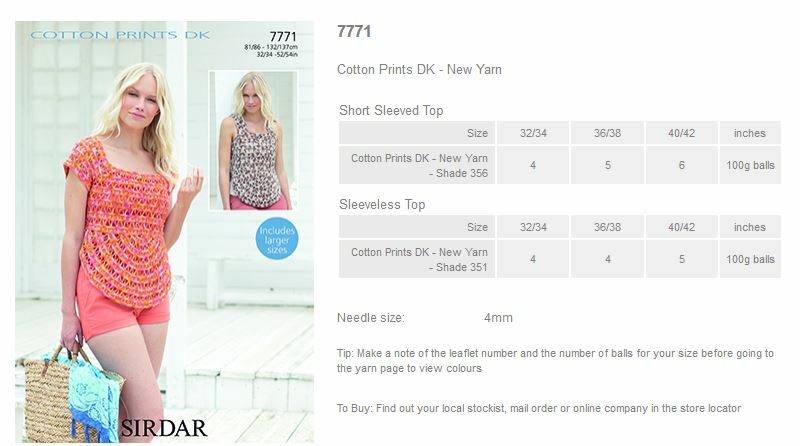 7771 - Short and Sleeveless Tops using Cotton Prints DK Leaflet with designs for Short and Sleeveless Tops using Cotton Prints DK. 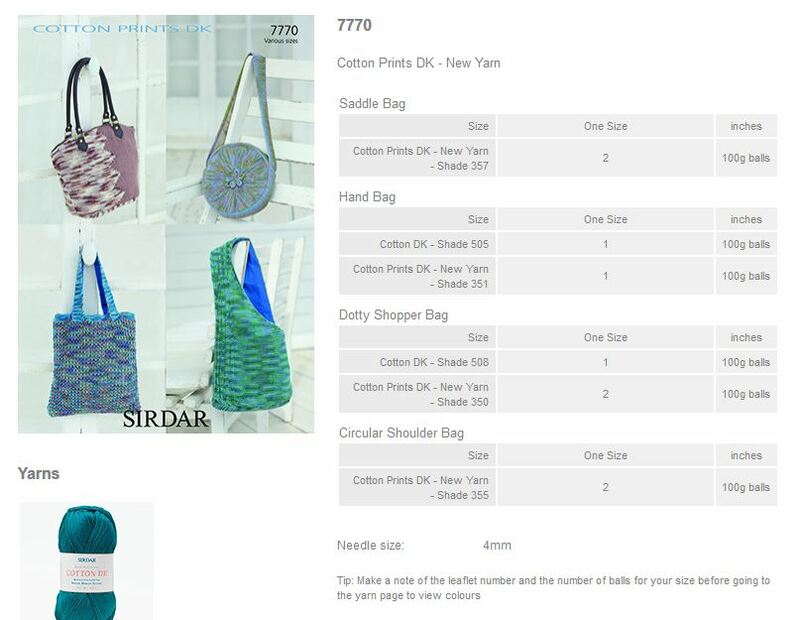 7770 - Bags using Cotton Prints DK Leaflet with designs for Bags using Cotton Prints DK. 7769 - Tops and Vest using Cotton Prints DK Leaflet with designs for a Tops and Vest using Cotton Prints DK. 7768 - 3/4 and Short Sleeved Tops using Cotton Prints DK Leaflet with designs for 3/4 and Short Sleeved Tops using Cotton Prints DK. 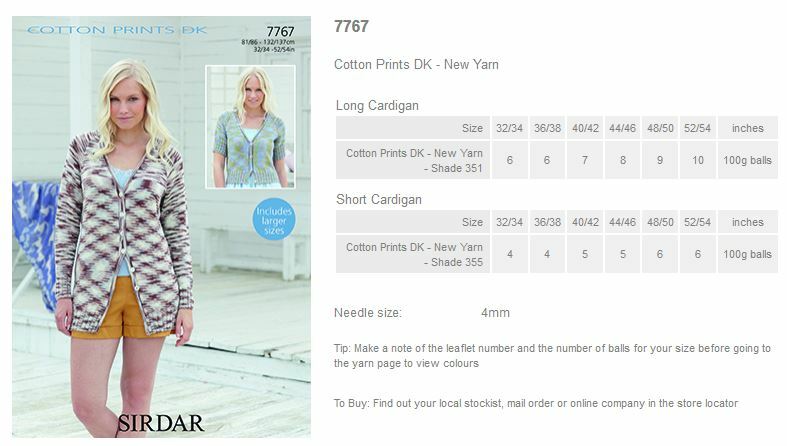 7767 - Long and Short Cardigans using Cotton Prints DK Leaflet with designs for Long and Short Cardigans using Cotton Prints DK. 7766 - Sleeveless and 3/4 Tops using Cotton Prints DK Leaflet with designs for Sleeveless and 3/4 Tops using Cotton Prints DK. 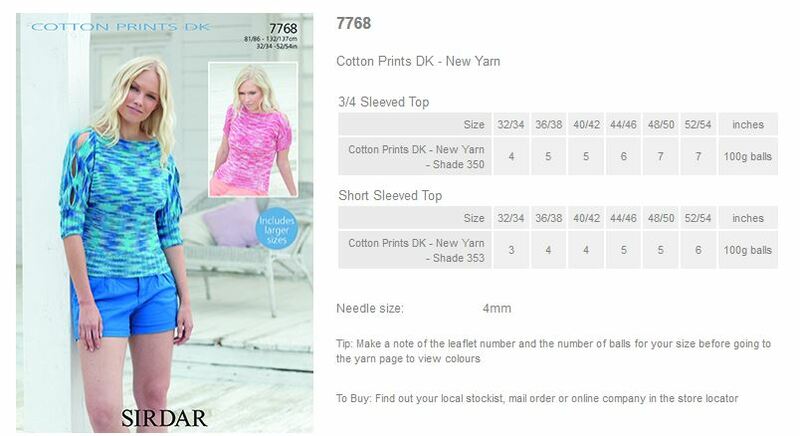 7765 - Top using Cotton Prints DK Leaflet with designs for a Top using Cotton Prints DK.